The following article written by a well known senior producer John W. Schoen. He explains what happened to a very prominent Senator that Barack Obama chose as his Health and Human Services Secretary. Stepping down because of tax problems turned out to be a big blow to President Obama. Accountability is the law of the land right now, and all future nominees for any appointment will be more closely scrutinized by the President. Spotlight on high profile filers shows perils that could await the rest of us. 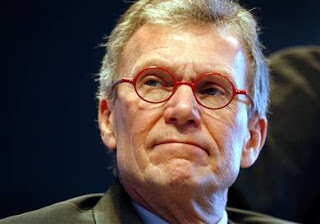 Tom Daschle is the latest high-profile American caught not paying all his taxes. But even 'ordinary' citizens are vulnerable to getting tripped up by the complexities of the tax code. There may be one set of rules, but there's different levels of scrutiny. Prominent people, or at least those nominated for high profile government jobs, face a level of inquiry that most taxpayers don’t have to worry about. Still, no matter how hard “ordinary” taxpayers try to get it right, they're still vulnerable to getting tripped up by the extraordinary complexities of the tax code. In the latest fiscal year, the IRS examined only 1 percent of all individual returns. The more money you make, the higher the odds the Tax Man will take a closer look. Last year, the IRS examined about 3 percent of returns for filers with income of $200,000 or more; the rate for those with income of $1 million or more was 5.6 percent. The same holds true for business returns; the IRS examines a much higher percentage of returns from large companies than it does for small businesses. You’re also more likely to face scrutiny if your return looks unusual compared to other people in your tax bracket. One of the tools the IRS uses to determine who to audit is a computer screen that compares the line items in your returns against similar returns in your tax bracket. If you’re claiming much bigger charitable deductions than others at your income level, for example, that could be a red flag. When the IRS does find mistakes, a lot depends on what they are. The most common are the basics: filling in the right Social Security number, math errors, etc. Those are fairly easy to catch. Next on the list are deductions, the part of tax preparation many filers pay the most attention to. No one wants to pay more tax than they must, but the IRS pays as much attention to deductions as you do. If you claim one you don’t qualify for, you’ll be on the hook for extra taxes and possible penalties if the IRS successfully challenges it. You don’t have to take their word; if there’s a lot of money involved, you can always challenge their ruling in court. But the mistakes that tripped up Daschle — along with Treasury Secretary Tim Geithner, who won his nomination, and Nancy Killefer, who withdrew as a nominee for as a key White House aide — were among the most serious. These involve failing to report income and not paying the full amount of tax owed on that income. Those mistakes don’t usually get very far when made by “ordinary” taxpayers with mostly wage income. People who make a living as freelancers, consultants, or independent contractors with multiple clients are at greater risk. If you earn more than $600 from any one employer or client, that payment is supposed to be tracked by a 1099 form sent to both you and the IRS. “Sometimes you may not receive them, but that doesn’t mean the work you performed isn’t taxable,” said Gil Charvey, an analyst with the Tax Institute at H&R Block.